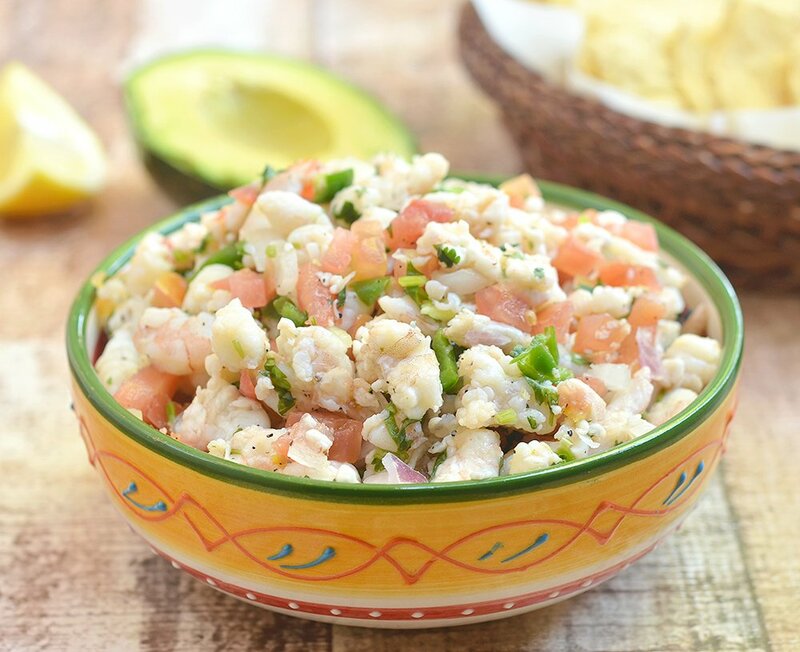 Shrimp Ceviche is refreshingly tangy, slightly spicy, and amazing with crisp tortilla chips. It’s the perfect summer treat! Spring is just around the corner and before we know it, summer and its ominous heat will be at our back door. In fact, we’re already beginning to sweat out above 85 F temperatures here in Southern California. When the days become unbearably hot, the last place I want to be is in the kitchen firing up the stove. 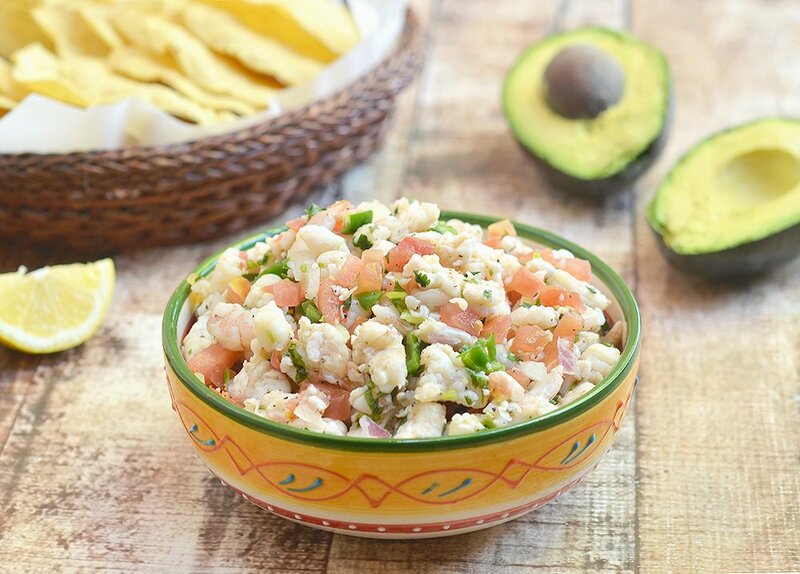 All I’d want is to lounge by the poolside, with an ice-cold Corona on one hand and a big bowl of this shrimp ceviche on the other. 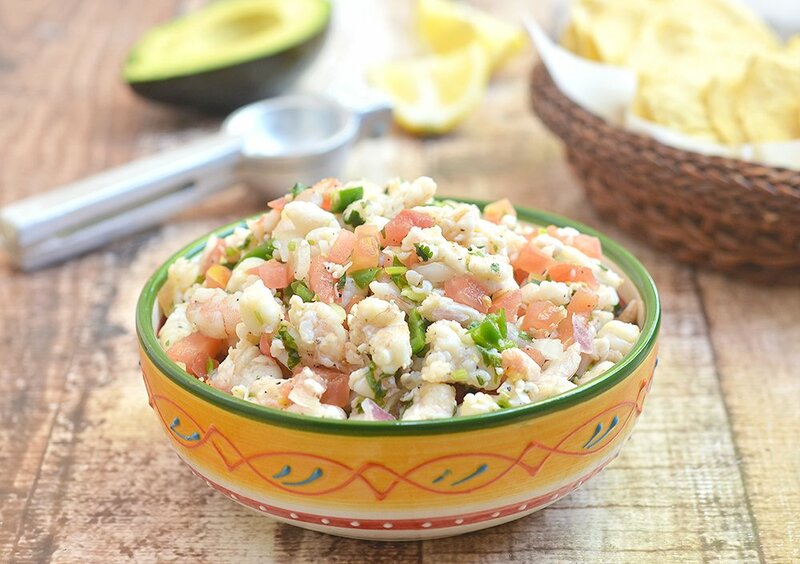 Refreshingly tangy, slightly spicy, and served up with creamy slices of avocado and crisp tortilla chips, this ceviche is truly a delicious way to cool off this coming summer. In traditional ceviche, raw seafood such as fish, octopus or shrimp is cured in a bath of citrus juices such as lime or lemon juice and then flavored with chili peppers, cilantro, onions, and salt. As the seafood is not cooked in heat, it is imperative to use the freshest ingredients and consume the dish immediately for best flavor and food safety. 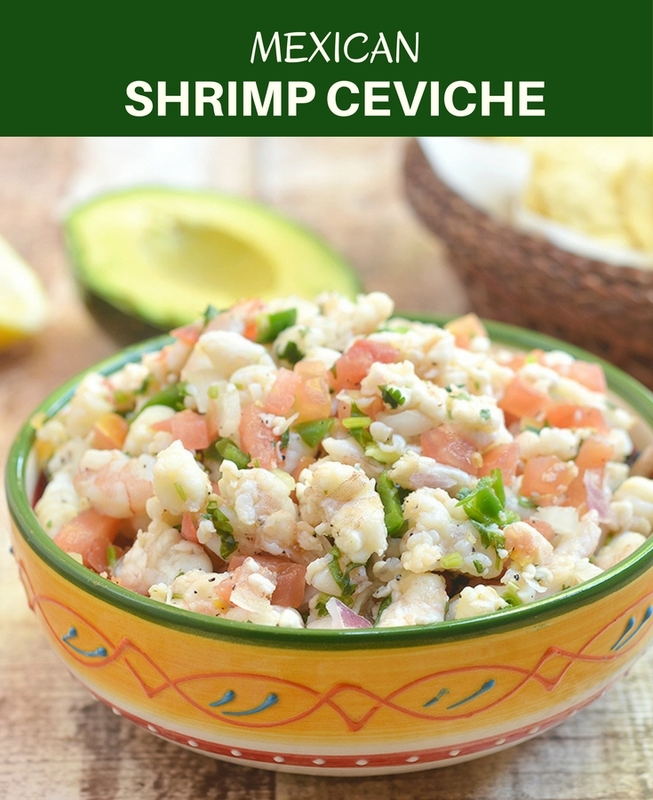 If you want to keep the ceviche a few days longer or eating “raw” food is a concern, you can pre-cook the shrimp by blanching in salted, boiling water for about 1 to 2 minutes or just until color changes to pink before tossing in the rest of the ingredients. Enjoy! 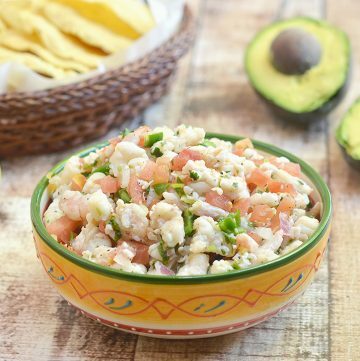 Shrimp Ceviche is refreshingly tangy, slightly spicy, and amazing with crisp tortilla chips. It's the perfect summer treat! In a bowl, combine shrimp and lime juice. Cover and marinate for about 10 to 15 minutes or until color changes to pink. Add tomatoes, onions, cilantro, and chili peppers. Gently stir to combine. Season with salt to taste. Refrigerate for about 1 hour. Serve cold over tostadas or with saltine crackers. This looks so good! Trying soon! This looks like summer in a bowl…salty margaritas and lime slices and tortilla chips, sitting out on the patio! Your recipe for shrimp ceviche is just what I was looking for, although I am starting out with a ready made powdered ceviche product. I will be adding all the ingredients listed.I’ll let you know how it turns out.